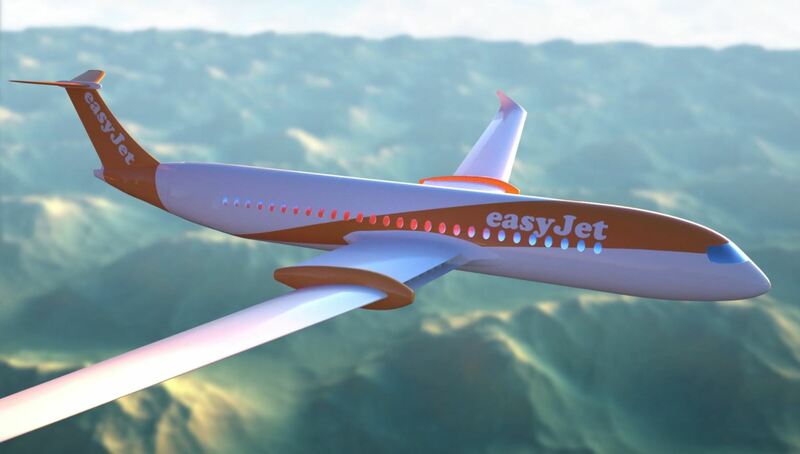 European airline easyJet has published plans for battery-powered aircraft to fly all its short-haul routes. It is collaborating with US electric aircraft manufacturer Wright Electric, which has already demonstrated its first, two-seat electric plane, using batteries weighing about 270 kg. The airline easyJet says that Wright Electric aims to prove within a decade that its technology could be scaled up to meet the needs of large commercial aircraft flying short-haul routes such as London to Amsterdam or Paris. ‘When scaled up Wright Electric will utilise new energy storage chemistries that are substantially lighter than today’s commercial batteries,’ easyJet said. A fully electric plane and all electric ground vehicles would also significantly reduce noise around airports. Wright Electric says that the electric aircraft would have high aspect ratio wings, and quick-change battery packs with advanced cell chemistry, carried in the body of the aircraft. Motors would be in the wings rather than slung underneath them, making the aircraft more aerodynamic. Wright Electric was founded in 2016 by a team of aerospace engineers, powertrain experts, and battery chemists, with the intent to reduce global warming via electric aviation. It is funded by Harvard University, and members of its team have worked for NASA, Boeing and Cessna. Never gunna happen in several life times (if ever!) Mankind hasn’t changed a thing since the “Wrong Bro’s” took to the sky, we still use hydrocarbon products as fuel for propulsion! “No possible combination of known substances, known forms of machinery and known forms of force, can be united in a practical machine by which man shall fly long distances through the air.” [Simon Newcomb, 1903 – one week before ‘Kitty Hawk’]. I’d be pretty hesitant to say “Never gunna happen” about anything in aviation….. Improving the cruise performance of the platform (drag and weight) will be positive, anyway. Good for the extant models, crucial for the electrics.